Smooke's primary research interests lie in the areas of computational combustion, chemical vapor deposition, and the numerical solution of ordinary and partial differential equations. Current research projects involve computational studies of NOx and soot formation in flames, the modeling of multidimensional premixed and nonpremixed flames on parallel supercomputers, flamelet models for turbulent reacting flows, and microgravity combustion. For a full list, visit Prof. Smooke's Google Scholar profile. M. D. Smooke, C. S. McEnally, L. D. Pfefferle, R. J. Hall and M. B. Colket, “Computational and Experimental Study of Soot Formation in a Coflow, Laminar Diffusion Flame,” Comb. and Flame, 117 (1999). M. D. Smooke, R. A. Yetter, T. Parr and D. Hanson-Parr, “Modeling Two-Dimensional Coflow AP Diffusion Flames,” Proceedings of the Combustion Institute, 28 (2000). S. V. Naik, N. M. Laurendeau, J. A. Cooke, and M. D. Smooke, “Effect of Radiation on Nitric Oxide Concentrations Under Sooting Oxy-Fuel Conditions,” Comb. and Flame, 134, 425-431 (2003). M. D. Smooke, C. S. McEnally, J. Fielding, M. B. Long, L. D. Pfefferle, R. J. Hall and M. B. Colket, “Investigation of the Transition from Lightly Sooting towards Heavily Sooting Coflow Ethylene Diffusion Flames,” Comb.Theory and Modelling, 8 (2004). J. A. Cooke, M. D. Smooke, M. Bellucci, A. Gomez, A. Violi, T. Faravelli and E. Ranzi, “Computational and Experimental Study of a JP-8 Counterflow Diffusion Flame,” Proceedings of the Combustion Institute, 30 (2005). M. D. Smooke, M. B. Long, M. B. Colket and R. J. Hall, “Soot Formation in Laminar Coflow Ethylene Diffusion Flames,” Comb. and Flame, 143 (2005). M. Noskov, M. Benzi and M. D. Smooke, “An Implicit Compact Scheme Solver for Two-Dimensional Multicomponent Flows,” Comp. and Fluids, 36 (2006). G. Amantini, B. A. V. Bennett, J. H. Frank, A. Gomez and M. D. Smooke, “Comprehensive Study of Extinction, Re-ignition, and the Evolution of an Annular Edge Flame in a Counterflow Flame Perturbed by Vortices,” Comb. and Flame, 150 (2007). B. C. Connelly, M. B. Long, M. D. Smooke, R. J. Hall and M. B. Colket, “Computational and Experimental Investigation of the Interaction of Soot and NO in Coflow Diffusion Flames,” Proceedings of the Combustion Institute, 32 (2009). S. B. Dworkin, J. A. Cooke, B. A. V. Bennett, B. C. Connelly, M. B. Long, M. D. Smooke, R. J. Hall and M. B. Colket, “Distributed-Memory Parallel Computation of a Forced, Time-Dependent, Sooting, Ethylene/Air Coflow Diffusion Flame,” Comb. Theory and Modelling, 13 (2009). R. B. Dobbins and M. D. Smooke, "A Fully Implicit Compact Finite Difference Method for the Numerical Solution of Unsteady Laminar Flames," Flow, Turb. and Comb., 85, (2010). L Tosatto, B. A. V. Bennett and M. D. Smooke, "Parallelization Strategies for an Implicit Newton-based Reactive Flow Solver," Comb. Theory and Modelling, 15, (2011). L. Tosatto, T. Lu, B. A. V. Bennett and M. D. Smooke, "A Flux-Based Directed Relation Graph Method for the Adaptive On-the-Fly Reduction of Chemical Mechanisms," Comb. and Flame, 158, (2011). L. Tosatto, F. Mella, M. B. Long, and M. D. Smooke, "A Study of JP-8 Scoflow Flame Structure by Combined Use of Laser Diagnostics and Numerical Simulation," Comb. and Flame, 159, (2012). M. D. Smooke, "The Computation of Laminar Flames," Proceedings of the Combustion Institute, 34, (2013). R.R. Dobbins, R.J. Hall, S. Cao, B.A.V. Bennett, M. B. Colket and M.D. Smooke, “Ra- diative Emission and Reabsorption in Laminar, Ethylene-Fueled Diffusion Flames Using the Discrete Ordinates Method,” Comb. Sci. Tech, 187:1-2, (2014). S. Cao, B. A. V. Bennett, and M. D. Smooke, “MC-Smooth: A Mass Conserving, Smooth Vorticity-Velocity Formulation for Multidimensional Flows,” Comb. Theory and Modelling, 19, (2015). D. Giassi, S. Cao, B.A.V. Bennett, D.P. 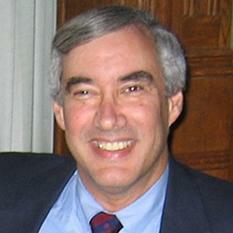 Stocker, F. Takahashi, M.D. Smooke, and M.B. Long, “Analysis of CH* Cand flame Heat Release Rate in Laminar Coflow Diffusion Flames under Microgravity and Normal Gravity,” Comb. and Flame, 167, (2016). “Computational and Experimental Study of Energetic Materials,” Keynote Address, CSE Symposium, University of Illinois, April 2000. “Modeling Energetic Materials,” Plenary Lecture, Gordon Research Conference, The Tilton School, Tilton, New Hampshire, July 2000. “On the Transition from Nonsooting to Sooting Ethylene Diffusion Flames,” Distinguished Mechanical Engineering Seminar, Drexel University, Philadelphia, Pennsylvania, October 2003. “Soot Formation in Laminar Flames,” Plenary Lecture, Computational Heat Transfer Meeting, CHT-04, M. S. Midnatsol, Norway 2004. “Soot Formation in Ethylene-Air Diffusion Flames,” Leaders in Mechanical Engineering Lecture Series, University of Maryland, College Park, Maryland, April 2005. “Computational and Experimental Study of Laminar Diffusion Flames,” Plenary Lecture, Eastern States Section of the Combustion Institute, Charlottesville, Virginia, 2007. “Computational and Experimental Study of Soot Formation in Coflow Laminar Diffusion Flames,” Plenary Lecture, COMBURA Meeting of the Dutch Combustion Section, Utrecht, Holland, October 2008. "The Computation of Laminar Flames," Plenary Lecture, 34th International Combustion Symposium, Warsaw, Poland, July 2012. Since 1980, over 250 lectures and invited seminars have been presented at various technical meetings, academic institutions, government and industrial laboratories. Professor Smooke has been a PI or Co-PI on over 36 research grants totaling more than $15M of which over $9M has been used to fund his research.